Sukkot has got to be one of my favorite times of the years and my most anticipated season of the Lord. I love fall and winter anyway, and i’m so glad that Sukkot has mixture of both fall and and late summer (for the beach goers) but fall for the cooler weather birds, like me. See, this couple is wearing clothing and not bathing suits. Thanks so much, Lord. I have anticipated every season and feast of the Lord, every year and cycle because Hashem always shows me something new. (Hashem-the Name). Sukkot is no exception. Sukkot is the 7th and final feast of the Lord and reminds us of the past (the wilderness experience) and the future, (the messianic age). I think Brad Scott talked about how one of the Hebrew words has to do with ruts, as in when a cow walks down a row in a field so many times, eventually, he just follows the rut. Since Hebrew thinking is circular, we are traveling in a circular rut, which gives us opportunity to learn something new the second, fifth, and infinity time around! 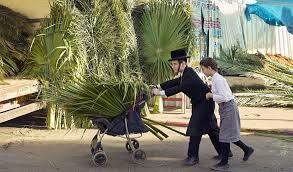 The Lord has shown me several things about Sukkot, in the past. One of the things that i saw, I saw during the Sukkot year i was trying to figure out if the pop up sukkah was okay for me to use on my way to a Sukkot celebration. They have them for $99 on the internet. I was reading what had been written by the website authors, concerning this little minimalist invention, and saw something they had written that was an eye opener (revelation) for me. They said that “the ancient rabbis have always regarded the glory cloud that covered the Israelites in the wilderness as the actual “sukkah”. For one thing, i think they dwelled in tents, did they not? It was so profound to me, because i had come to realize that theirs was a truly supernatural environment. Despite the great desire for charismatic individuals like me to see the Holy Spirit poured out in such a way, that we would see our “shadow” causing folks to be healed, just like those of the apostles, there has always been a supernatural element to God’s people that transcended normal experiences. This was today, the 15th of August and they are sold out! The second revelation that has always stayed with me, had to do with the dimensions of the Sukkah or booth. I really tried to imagine what this looked like, but i had to go search the internet when i first found out about it. I camped in a tent for years with folks at a local messianic synagogue and LOVED IT. However, as my sukkoting involved going to different encampments and gatherings in the future, i had to make adjustments. So i was in a quandary one year, thinking, “Am i really obeying the Lord, using a tent?” (It looked like the Taj Mahal, and I emerged from that tent like a princess with all my makeup on). The Lord interrupted my thoughts on this one day, and i really was getting quite worked up over it and He said, “But I’m the sukkah Ginny”. I had this revelation hit me as I saw the Lord, wrapped in swaddling clothes, unable to help himself, exposed to the elements, with the body of a human, and totally dependent on Mariam and Yoseph! And not only that He had the “soft spot” on His head that made Him even more vulnerable to injury, but prophetic of the fact that the dove descended upon him like a dove in bodily form. “and the heavens opened”…wow. Glory. So this year, I’m reading three different Bible portions: the Torah portion, the chronological Bible, and the Daily Audio Bible. I’m getting different perspectives. I realized that in 1 Kings 8, the most glorious temple that was built, Solomon’s temple was dedicated on the first day of Sukkot. I saw that the scriptures used the date of “Ethanim, the seventh month”, and knew that something was up with Sukkot and the Temple being built. Maybe this is something everyone in the world has already seen, but I had not. That made me SO excited. Look at ALL the connections! So i had googled “Was the temple of solomon build on the first day of Sukkot?” I found several cool websites. First of all, this blew me away. Now I have something concrete to work with! (pardon the pun). This article points out the messianic significance of Sukkot and the Temple. A great little book called “What the Ancient Rabbis believed about the Messiah” says just exactly what this article says. However, the author explains that they were called “sages” back then. They were wise. The time when a “messiah” was most likely to come was the time Yeshua arrived. The author, however, does not confess Yeshua as Messiah because he says that Yeshua made the case that Mosaic law was irrelevant. Here’s the quote, again, from theTorah.com. The reason this gentleman does not recognize Yeshua as Messiah, is that Yeshua did not establish the earthly kingdom right then and there. It starts with a Seed. The second temple (Ezra’s temple)was not built prior to Sukkot but was celebrated right before the foundation was laid. 3 When the seventh month came and the Israelites had settled in their towns,the people assembled together as one in Jerusalem. 2 Then Joshua son of Jozadak and his fellow priests and Zerubbabel son of Shealtiel and his associates began to build the altar of the God of Israel to sacrifice burnt offerings on it, in accordance with what is written in the Law of Moses the man of God. 3 Despite their fear of the peoples around them, they built the altar on its foundation and sacrificed burnt offerings on it to the Lord, both the morning and evening sacrifices. 4 Then in accordance with what is written, they celebrated the Festival of Tabernacles with the required number of burnt offerings prescribed for each day. 5 After that, they presented the regular burnt offerings, the New Moon sacrifices and the sacrifices for all the appointed sacred festivals of the Lord, as well as those brought as freewill offerings to theLord. 6 On the first day of the seventh month they began to offer burnt offerings to the Lord, though the foundation of the Lord’s temple had not yet been laid. Wow. ” No one could distinguish the sound of the shouts …from the weeping”. Here’s this years revelation that I pulled out of the glory cloud: They were instructed to “remain” in Deut. 16. Is this not a picture of our life with Messiah? We will be caught up with Him, in the air, and forever be with the Lord”.